Lavender EO has antiseptic, antibacterial, antifungal, calming, moisturizing, and anti-inflammatory properties. It speeds up healing and prevents or reduces scarring of the skin. 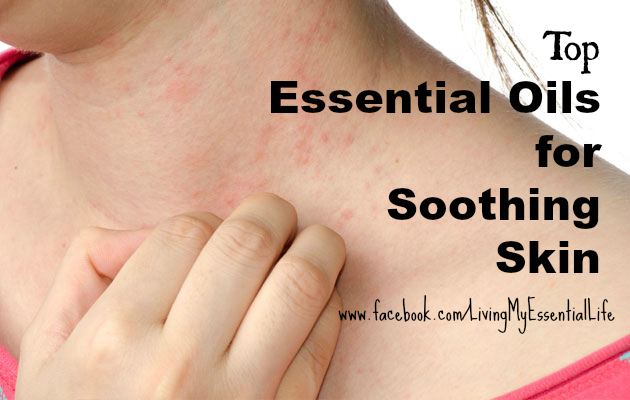 It is one of the best oils to treat skin issues and smells great. Lavender EO is safe to use undiluted on small areas. Apply a few times a day until healed. Melaleuca or tea tree EO has antibacterial, antiseptic, antiviral, and anti-inflammatory properties to help heal the skin. Has anti-inflammatory properties, but most importantly when added to a blend it increases the potency of the other EOs it is paired with. Energizing fragrance with antibacterial, antiviral, antifungal, and antioxidant properties. Again a great EO to kill bacteria and other skin germs. It has anti-inflammatory properties and an uplifting scent. Effective EO to alleviate inflammation, itchiness, and pain, and promotes skin renewal. Add all ingredients to a bathtub with warm water and soak for 20-30 minutes. Do not add the oils to running water to avoid evaporation. For and extra moisturizing effect dilute essential oils in a carrier oil before you add them to your tub. 1 quart cool water in a bowl. Soak a clean cloth in the bowl and apply on affected areas. Make a lavender spray to cool down the inflammation and itchiness. Mix 1 cup distilled water with 10-15 drops lavender EO. Add to a spray bottle and shake before use. Add 20 to 25 drops of your favorite eczema EO(s) to every 8 ounce natural unscented lotion. Opt for a lotion with vitamin E and Shea butter for a better moisturizing and healing effect. Instead of adding the oils to a lotion you could add them to a carrier oil as well. Some oils work great to hydrate and soften eczema affected skin. Mix 2-4 drops of your favorite EO or EO blend with 1 tablespoon of carrier oil. Apply a few times a day on the affected areas. Mix all ingredients in a small jar and apply 1 to 2 times a day. Can be used for your children as well. Melt coconut oil, avocado oil, olive oil and beeswax in a double boiler under constant stirring. Remove from heat and add arrowroot, keep stirring to avoid lumps. Cool the mixture down till you can touch the jar for at least 5 to 10 seconds. Then add the essential oil and vitamin E. Mix and pour in a small glass container. Cool down completely on the counter before putting the lid on. Store at room temperature and use 1 to 2 times a day. Coconut Oil – Coconut oil is great for people who suffer from skin issues, as long as you’re not allergic to coconut products of course. It hydrates, nourishes, and softens the skin and is fast absorbing. And on top of that it has antibacterial, antiseptic, antiviral, and anti-inflammatory properties. Also read my article about 15 everyday uses for coconut oil. Shea Butter – Shea butter is rich in vitamin A and works as an excellent moisturizer that nourishes and heals the skin. Avocado oil – Packed with vitamin A, B, D, and E. It also contains several amino acids and fatty acids to heal all sorts of skin conditions. Find here more fruit oils that are great for skin care. Olive oil – Olive oil traps moisture in the skin and contain antioxidants which help neutralize free radicals that can cause skin aging and cancer. Read more about its amazing health benefits here. Vitamin E Oil (or capsules) – Powerful skin protecting antioxidant that restores elasticity and rejuvenate the skin. Note: we all have different and unique skin types, so what works for other people may not be the ideal treatment for you. Always try the above remedies on a small patch of skin first to see how it reacts.